At Fountainhead you have access to the depth and resources of an entire team of specialists. 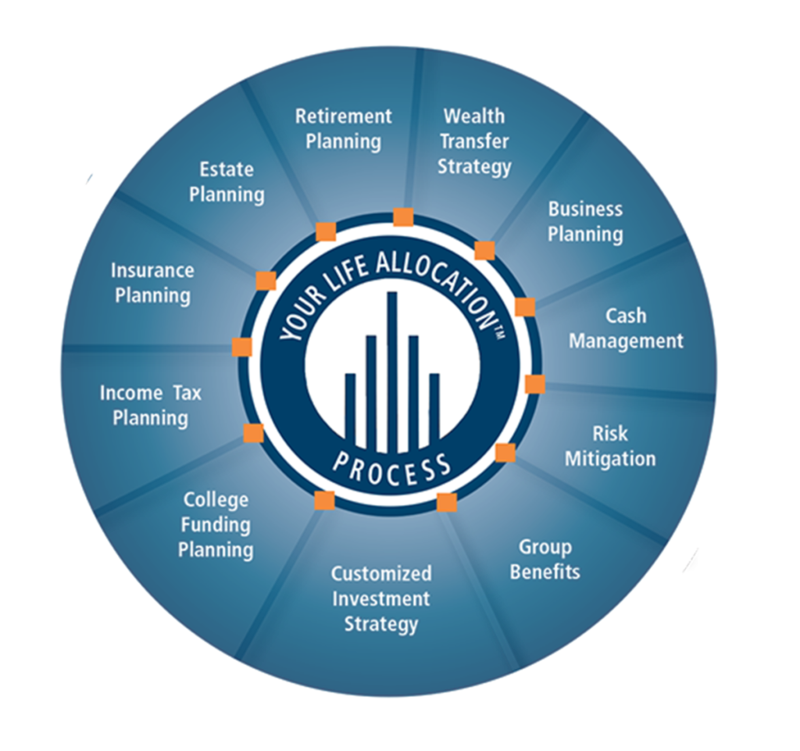 Our team includes experts in a broad range of areas including tax strategies, asset management, retirement planning, college funding, special needs planning and risk management. An additional strength of the team is their ability to coordinate the unique needs of the small business owner, leveraging the opportunities that exist by integrating their business and personal planning. Our entire tight-knit team is at your service. We sit alongside you, helping you address and integrate every facet of your financial life. Whether you’re an individual looking to take your family’s planning to a higher level — or a business owner looking to plan your business and connect it strategically to your personal world — we bring to the task deep reserves of expertise, hard work and creativity. The conclusion is a Life Allocation that moves you from a fragmented, uncertain place to an integrated, directed one. We don’t just provide actionable advice, we follow through with action. Whether it’s setting up auto-pay for your bills, linking investment accounts, helping with mortgages or establishing banking relationships, we help you actually get the things done that transform your financial life. Of course, this is a very personal process, centered on the specifics of your situation. The more specific it becomes, the more fired up you’ll be by the level of total life management we provide. The benefits are both economic and emotional. READY TO WORK WITH SOMEONE YOU LIKE? CLICK HERE!